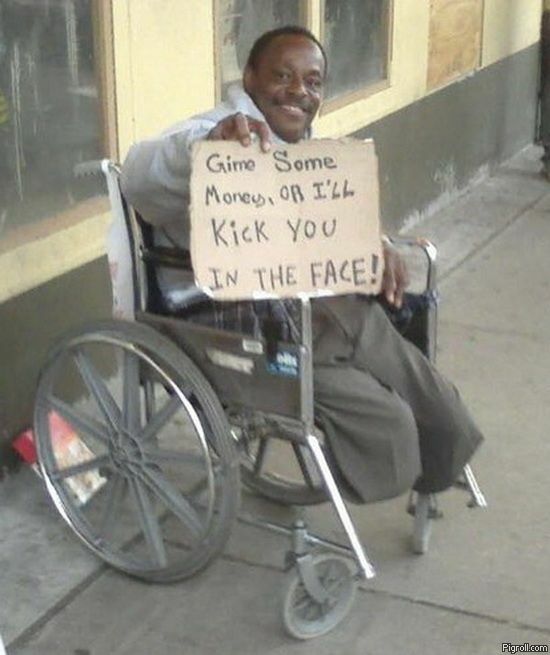 Gime some money, or I'll kick you in the face! This dude is awesome! May God bless him.